An air duct is a passage through which air gets to move across all rooms in a building, it is used to form part of a building’s air conditioning, ventilation, heating and cooling system. Air ducts are prone to get contaminated over time, it is therefore important to ensure that air duct cleaning is done regularly so as to ensure that they get to function properly. Air duct cleaning is the process of removing dirt and other contaminants that get to accumulate in air ducts over time. Proper air duct cleaning will allow for proper functioning of the HVAC system in the building. Air ducts may fail to function well as a result of clogs and debris that may be brought about from the insects or even rodents present in the air ducts. One can detect this from the air that is released from the HVAC ducts as it may contain some particles. These particles might be from decaying organic matter which is dangerous to one’s health. Getting a qualified HVAC contractor is a good alternative when it comes to HVAC maintenance and air duct cleaning as they have the experience. One may decide to look for a HVAC contractor online where they may be able to decide on whether to hire them based on the reviews made. HVAC contractors can also be referred to you by your colleagues who have previously used their services and were satisfied. In the event that mold exists in your HVAC ducts it is important that you clean them out or better yet replace the moldy insulations. The environment here also plays a major role as it part of the reason that caused the mold to occur in the first place. The environment hence has to be remedied so as to avoid occurrence of such a situation again. Mold gets to develop in areas where there is a lot of moisture and poor ventilation. The presence of mold in the HVAC ducts makes the environment in the house unhealthy as the air is contaminated with mold spores. One is advised to carry out a laboratory test in order to determine the presence of mold in the air ducts. From this analysis one may be able to make the decision on whether to replace the damaged insulation with molds or clean out the mold if the damage is not of a high degree. Accessing all parts of the air ducts may be difficult making it a good idea to hire a HVAC contractor. 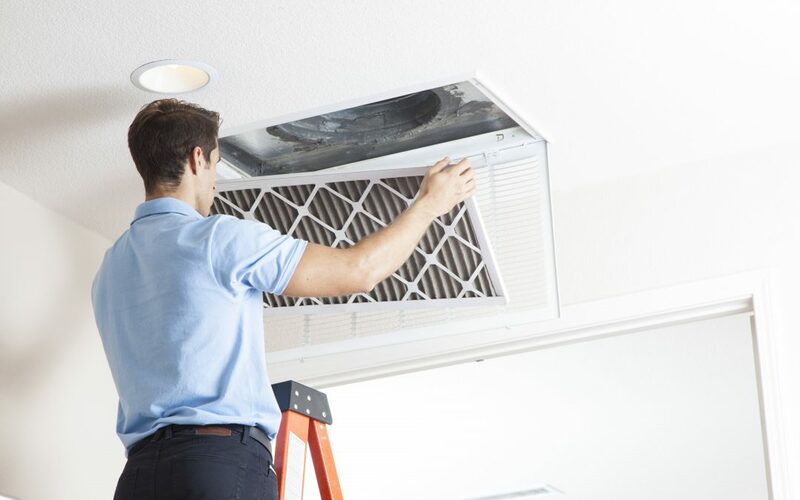 The HVAC contractor’s responsibility is to examine the air ducts in your presence in order to determine the reason that is hindering normal functioning of the air ducts. The HVAC contractor may come to the conclusion that mold does indeed exist in your air ducts, if so insist on a laboratory test and analysis before proceeding with the process of insulation removal.